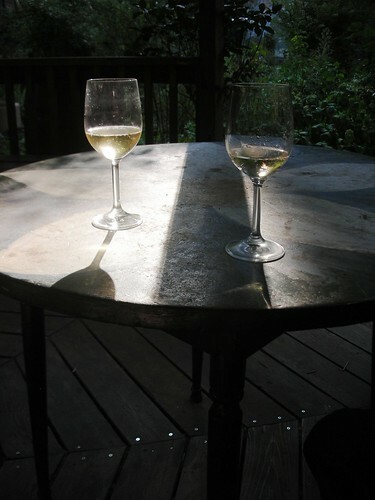 …my husband and I had the most wonderful dinner, part of a series of coast-to-coast outdoor events put on by Outstanding in the Field. 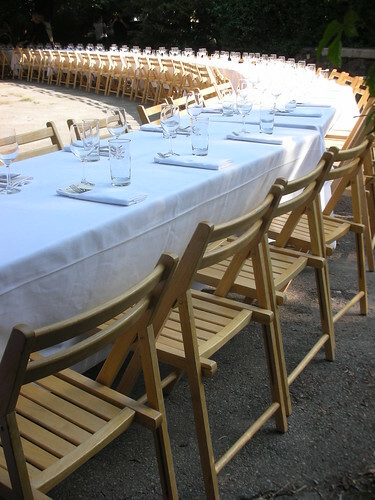 They stretch their long, white-clothed tables through some of the most dramatic landscapes around North America. 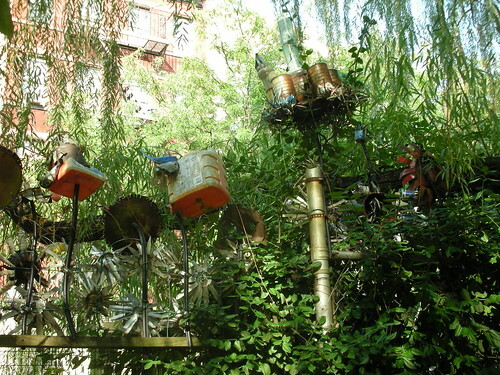 This one being in the middle of New York City, they set up camp in a community garden on the Lower Eastside. Even though it lacks the wide-open spaces of some of their other dinners, they still managed to make it look so magical that I forgot it was 90-somethingº outside! Or maybe it was really all the Long Island wine that made me forget the heat! The locally-sourced food was cooked by Chef Bill Telepan, and we shared it family-style. I’m sorry I didn’t get any pictures of the food, but I was too busy, eating drinking and making new friends! I’m so very jealous! I tried to go to one of these while they were out here on the Left Coast, but just couldn’t squeeze it in. Sounds like it was an amazing time! 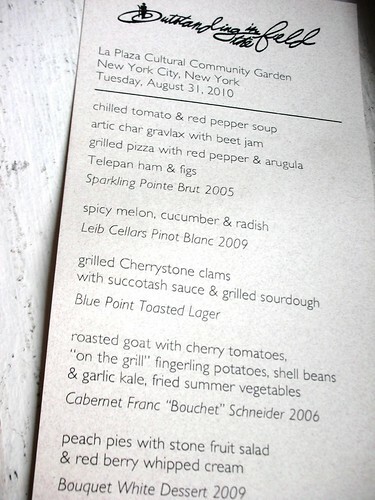 I will never ever forget the Outstanding in the Field dinner from last year’s Foodbuzz Blogger Festival. So wonderful 🙂 Glad you had fun! The park looks gorgeous. Sounds like you enjoyed the dinner! Oh, that looks like so much fun! I noticed the spicy melon, cucumber, and radish salad on the menu–what a fun flavor combination. I’ll have to try it at home.